Welcome to paradise! Experience the quintessential tropical lifestyle in this beautiful waterfront oasis. Superior craftsmanship combined with elegant sophistication defines this custom-built pool home with magnificent open water views of Tampa Bay. The grandeur begins upon entry as you are greeted by floor to ceiling windows with lots of natural sunlight emphasizing magnificent water views. Both inside and out private and secure this home is brimming with exceptional architectural details featuring hurricane impact windows and doors a double seawall music surround sound throughout two bedrooms on the main level (one is a second master suite) a elegant chefâs kitchen with top-of-the-line GE CafÃ© stainless steel appliances and granite countertops. 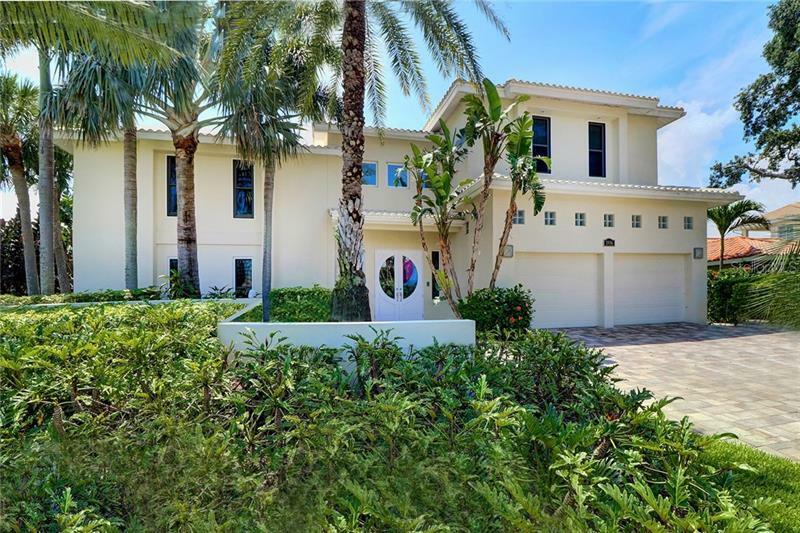 The second floor features a private balcony master retreat with stunning views of Tampa Bay a theatre room a library with custom built-in shelves a game room exercise room and secondary bedrooms. The backyard is an entertainers dream featuring a heated pool spa dock with a 20000 lb lift as well as a jet ski lift. This home has something for everyone and is conveniently located within minutes of downtown St. Petersburg 20 minutes to TIA and a 20 minute boat ride to the Gulf of Mexico where you can enjoy world class diving & fishing. Call today to schedule a private showing.